Our strategy is to employ an intensive program that ensures that every mare is bred at the best oppurtunity during the breeding season, and if she does not become pregnant , then to return here to another breeding as soon as possible, while at the same time keeping your breeding goals in mind. It is our goal to work with mare owners so as to help them achieve their objectives. Whether a mare is awaiting breeding or is in foal, we know each has their own unique needs and that is why we strive to give personalized service. 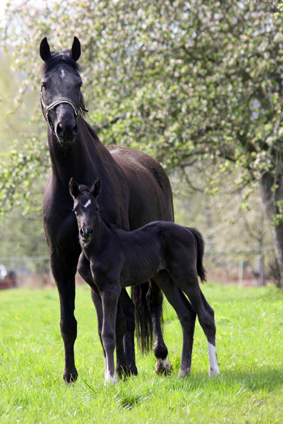 There is a wide range of costs associated to mare care and breeding, please contact us for a fee schedule and a copy of our reproduction strategy.